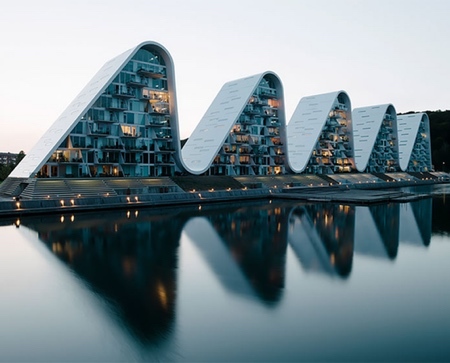 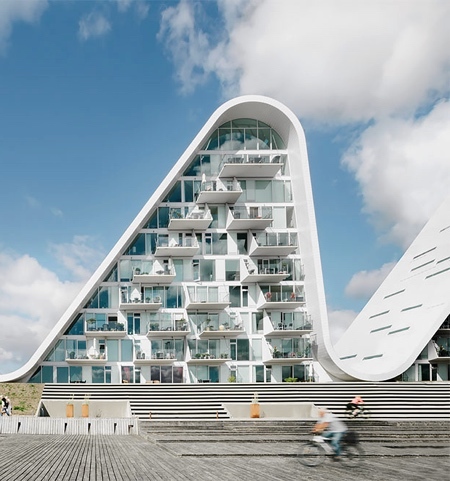 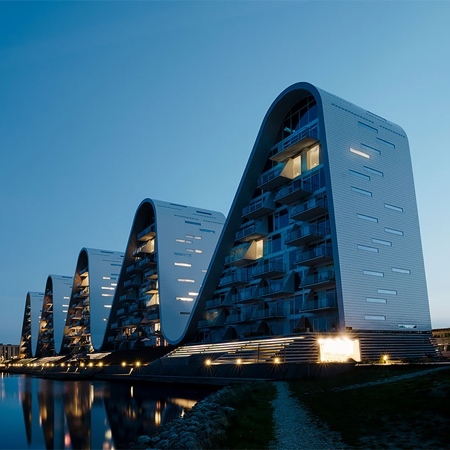 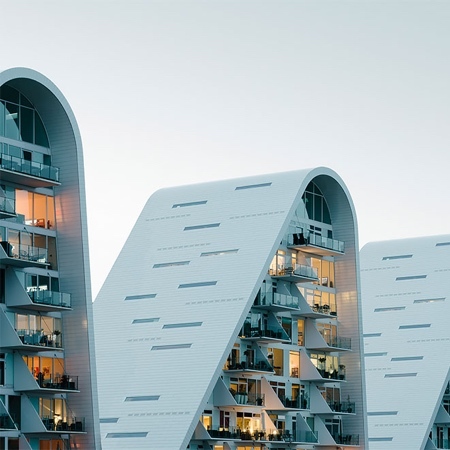 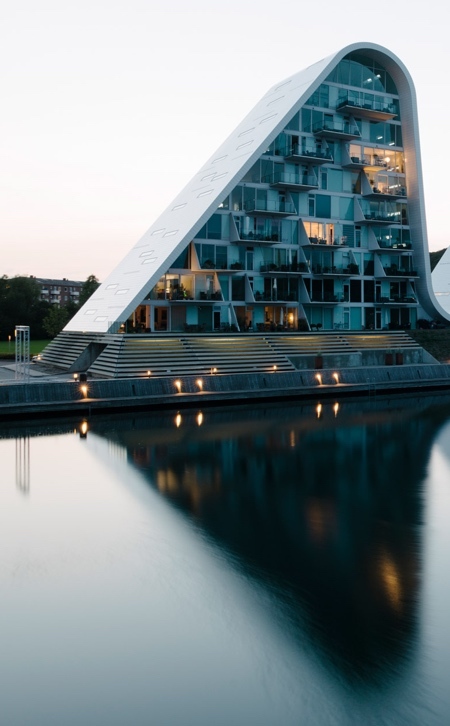 Unique apartment building located in beautiful Vejle, Denmark designed to look like ocean wave. 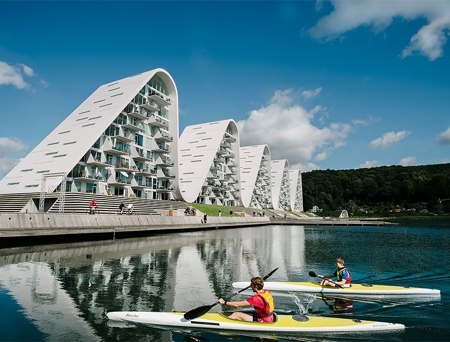 The Wave in Vejle – nature inspired building designed by Henning Larsen. 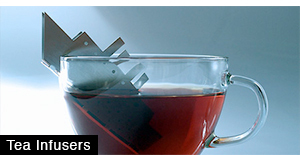 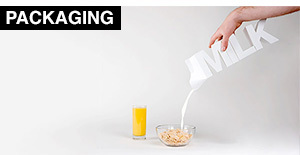 Not my cup of tea. 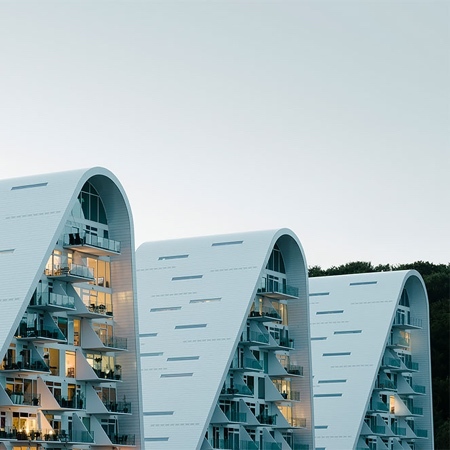 These houses look like they blend into the landscape but they don’t.